There were three friends, Véronique, Mireille and Gisèle. They used to dance with the ‘Gounellouns’ (a traditional dance troupe called “the petticoats” (1). On special days they would put on traditional Queyrassin costumes, the kind worn by their grandmothers when they were children. The first thing that strikes you about these costumes is that they all have a black gown, a head-dress, an apron and a shawl. But then you notice the differences. The head-dress, for example, may be white, black or coloured. Is there a reason? Maybe white for young girls and black for widows? Perhaps. That’s what some people say. But there’s a grandmother in Saint-Véran with a white headdress, and she’s a widow….The headdresses vary from village to village, but if a woman from Molines married a man from Arvieux, did she keep the headdress of her village or did she adopt that of her husband’s village? (1) In Queyrassin dialect a ‘gounelle’ is a dress and a ‘gounelloun’ is a petticoat. Gounelloun is also the name of a traditional dance group formed 30 years ago. So let’s examine the question of traditional costume more closely. We can imagine the three friends talking it over together, consulting older people, looking at old photographs, which are black and white and don’t tell you much about the colours. Still, other people in the village are likely to take an interest, unearthing long forgotten items from their wardrobes - clothes, material, dressmaking tools. These may seem worthless things to people with no interest in history, but they are treasures to passionate women like our three friends. And so these mementoes are either donated lent out. At the same time the friends do research in museums and specialist books, to understand and learn. They make patterns based on the old garments, and are soon able to make head-dresses and embroider shawls for their friends, the Gounelloun folk-dancers. “Was this apron pleated?” “How do you make this lace for this head-dress?” To answer such a question, they learn how to make lace. They get a local carpenter to make bobbins from designs they’ve researched, and an keen Queyras lacemaker creates designs from old headdresses. But our three friends don’t want to keep their discoveries to themselves. They want to share them. 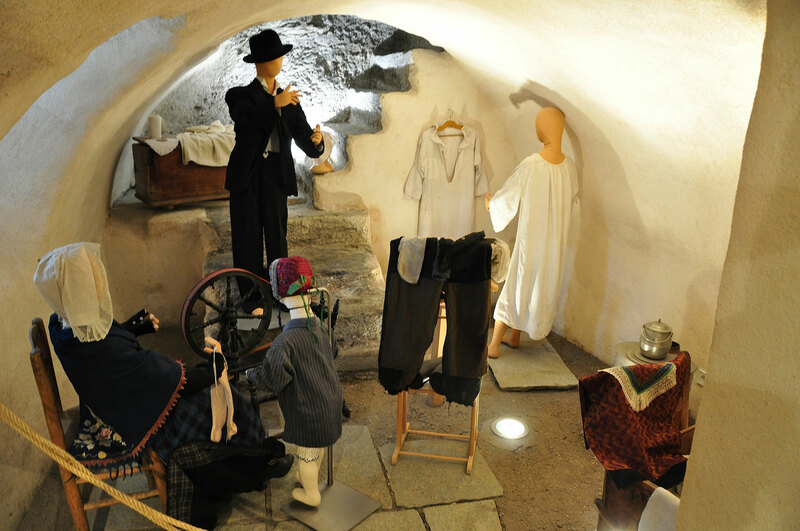 So, together with some other like-minded ladies (2), they open the Museum of Traditional (Queyrassin) Costume in a few old rooms with vaulted ceilings, rooms made available by the Abriès mairie. The only problem then is what to put on display and how. The choice is difficult, and the discussions are lively, but they succeed. (2) In May 2000 the ‘Costume d’Autrefois’ (Traditional Costume) association was formed; today there are about fifty members. These enthusiasts at the Maison du Costume welcome visitors and their questions, which often trigger off yet more keen research into the Queyras’ historic past. You would expect them to run out of energy before they exhaust the possibilities of their subject, but they are tireless, and their enthusiasm is endless. Recognise their effort and encourage them by visiting the Costume Museum. 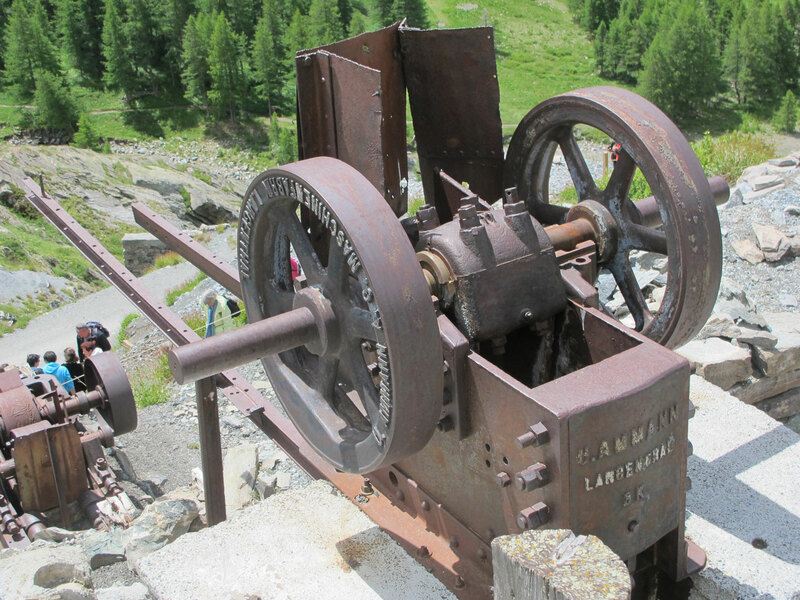 If your appetite for folk history in this corner of the Hautes-Alpes has been whetted by the Maison du Costume, why not visit the other fascinating museums of the Queyras? 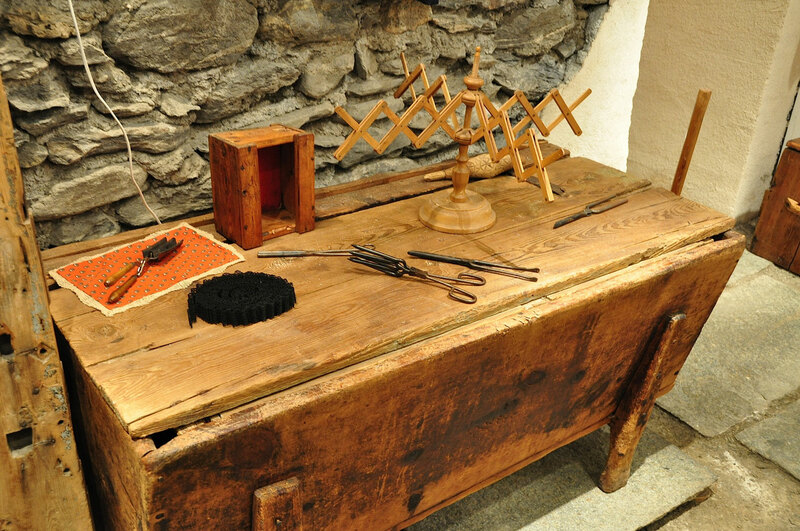 Try the Musée du Soum in Saint-Véran (Hautes Alpes) and the Musée de l'école Museum of Schooldays) in Brunissard (Arvieux). the old copper-mine of Saint-Véran, a unique open-air museum. 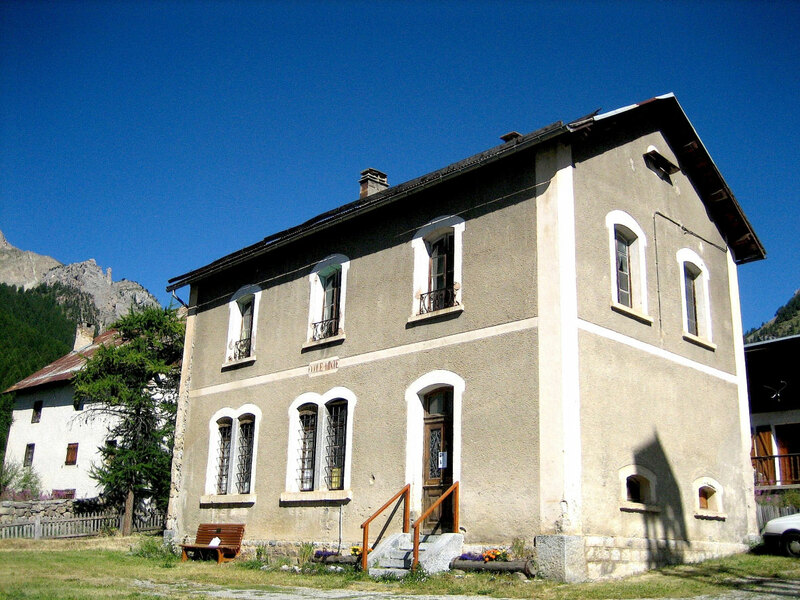 L'Arche des Cîmes in Ristolas, the Park’s museum of the of the Hautes Alpes.